Hunger drives innovation. That can be hunger for change, or hunger for more efficient ways of getting things done, but sometimes it's really just hunger — like, for food. 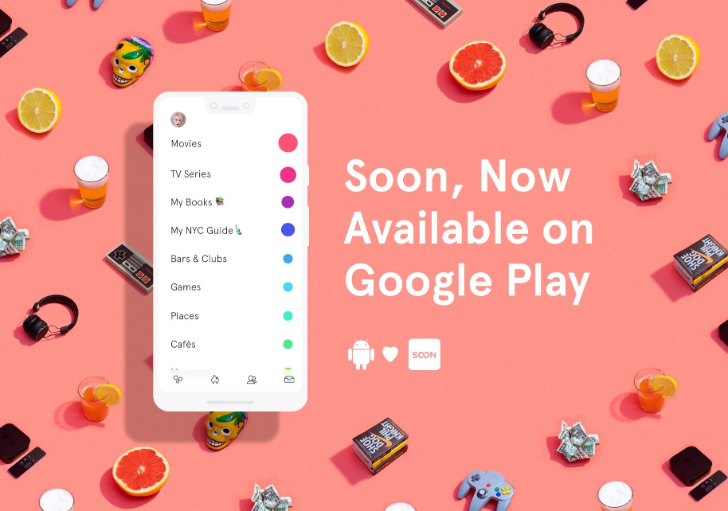 Over the years, we've seen Google bring us a number of convenient ways to connect us with a little sustenance, like back at I/O when it detailed how Assistant would take users' food orders. 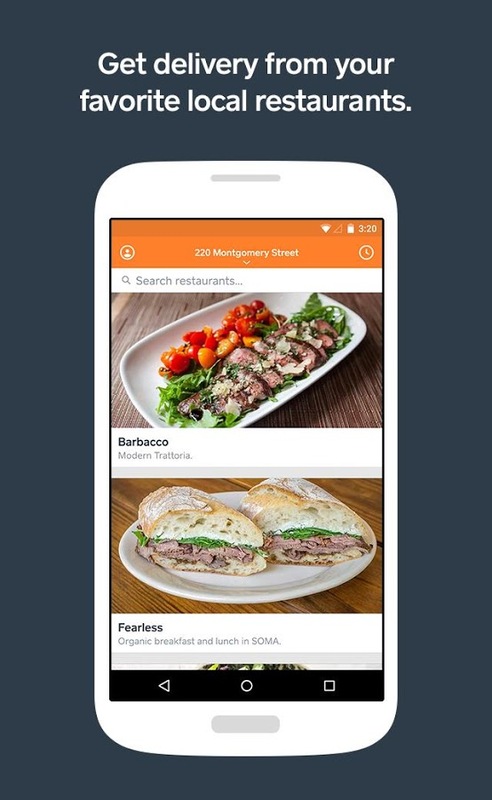 Today we're looking at the latest advancement along these lines, with a fully-integrated ordering system coming to Search on the web. The latest update to Google Maps is rolling out on the beta channel now. This is the version that brings the just-announced restaurant wait times. That appears to be the only notable addition users will be able to see right away. A teardown also brings more meat to the upcoming motorcycle-specific enhancements. 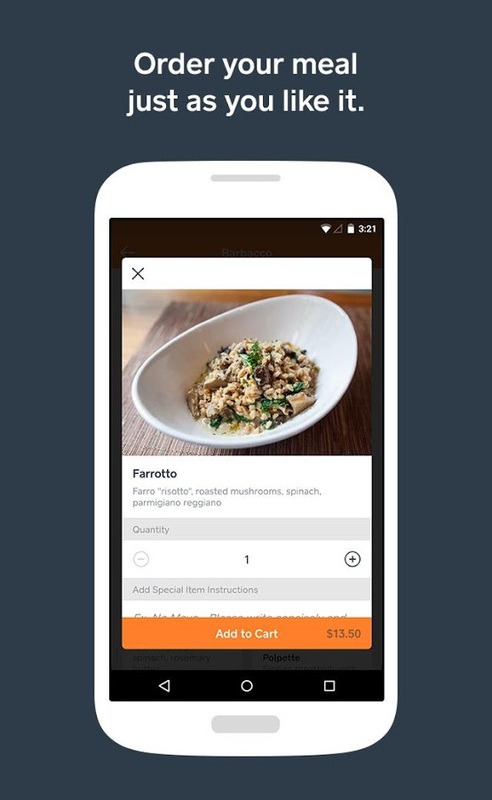 Mobile payments are on the rise. 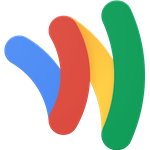 Google has been working with companies for years, and with Apple Pay turning more consumers on to the idea, new opportunities to swipe your phone at a register or pay in advance are popping up left and right. 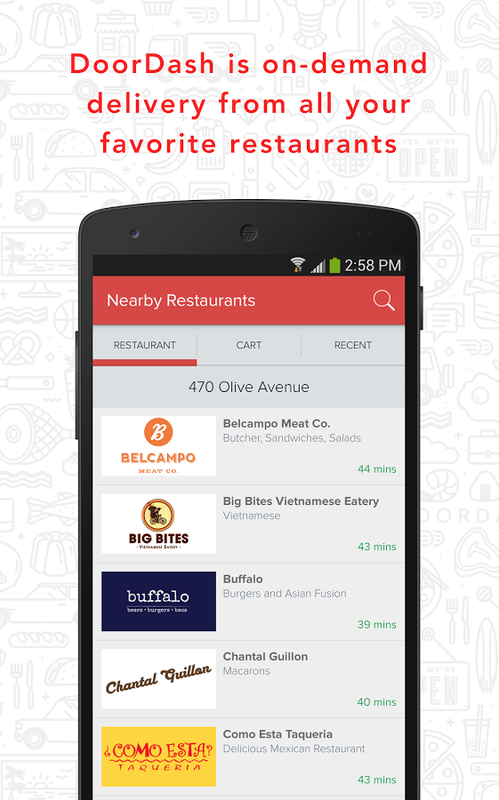 Now Google has partnered with ChowNow to bring Wallet to thousands of independent restaurants across the US. 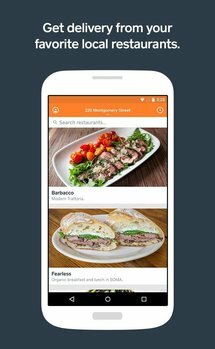 As of today, restaurants have updated their mobile apps to include Wallet as an additional option at checkout. 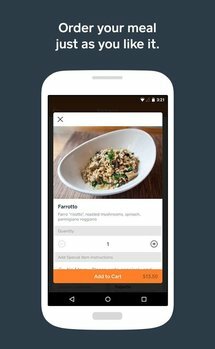 Future businesses that work with ChowNow will offer integration from the beginning. The move will hopefully serve as a win-win for everyone involved. 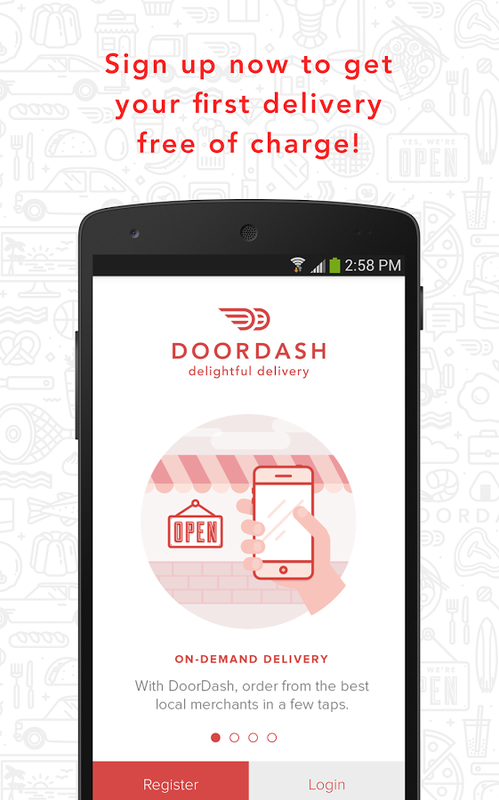 DoorDash gets food from a local restaurant to your door without you having to check the establishment's website to see if the place delivers. Just fire up the app, do a quick search, and place your order. 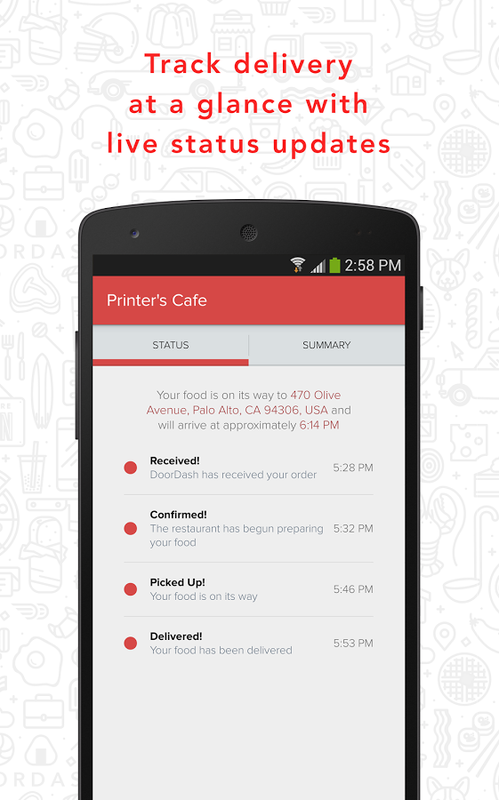 You can browse through menus and track deliver through status updates. 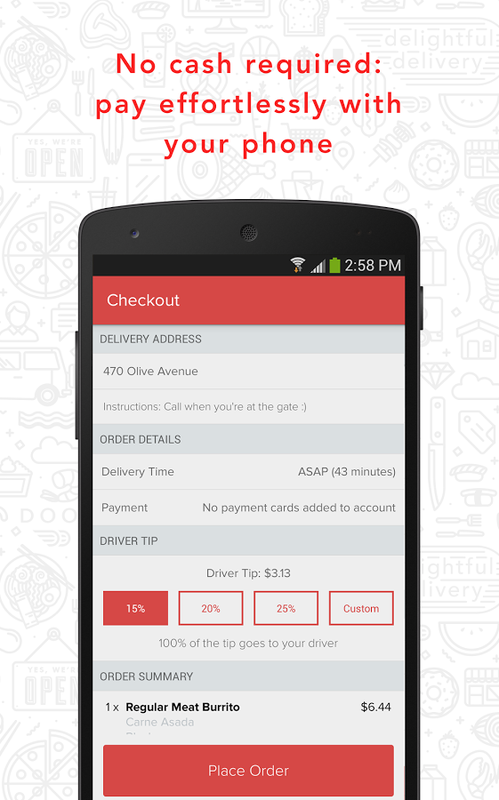 Payments are handled through the app. 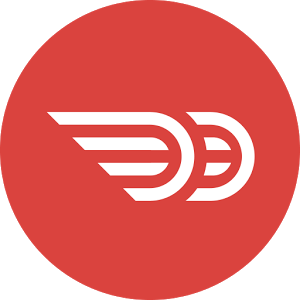 You may be pleased to know that Doordash supports more areas than just San Francisco. Options in other states include Boston, Brooklyn, Chicago, and Washington D.C.
You're sitting at home or in your office, hungry, ready to gnaw at anything, really anything, then you remember that you would absolutely love those special donuts you usually grab on your way to work. The problem? They don't deliver. Your craving is turning into a focused need for donuts and it's evolving at an alarming speed into dangerous territory. What do you do? You pick up your Android phone and launch the Caviar app. 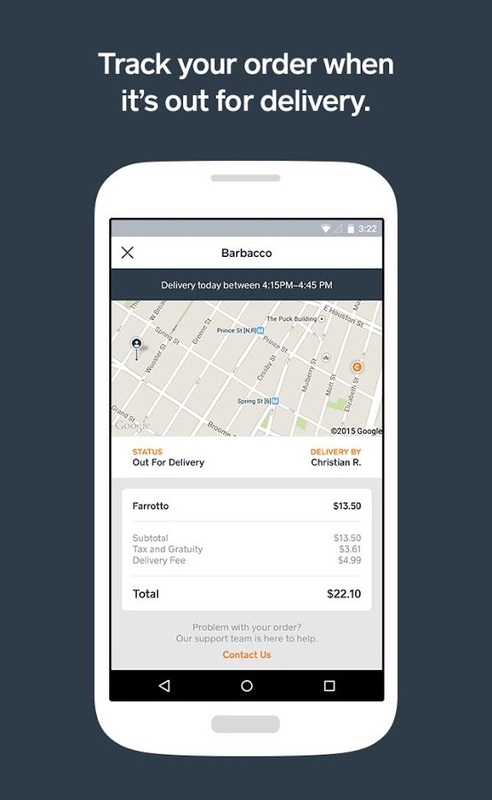 You quickly browse to your donuts shop, drool while scrolling through the appetizing images, pick a donut, wait no, 3 donuts, customize your order, input your address, and stare at the screen while the GPS tracks both the courier and the end of your misery in real-time. 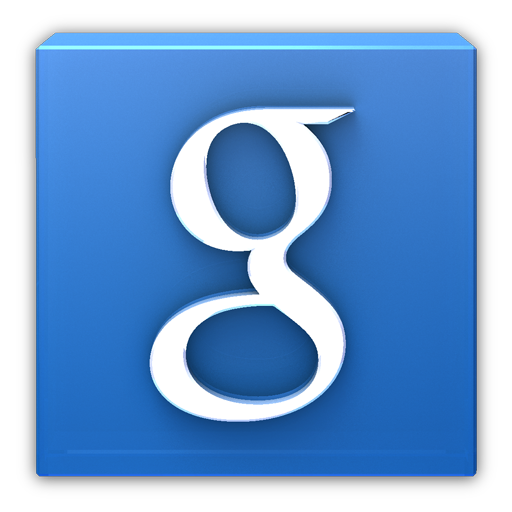 Ever since Google Now became a thing, I've used the hell out of Google search on my phone. Need to find a gas station? "Ok Google, where's the closest gas station?" Trying to find someplace I've never been before? "OK Google, navigate to <address>." You know, common stuff that just makes sense. 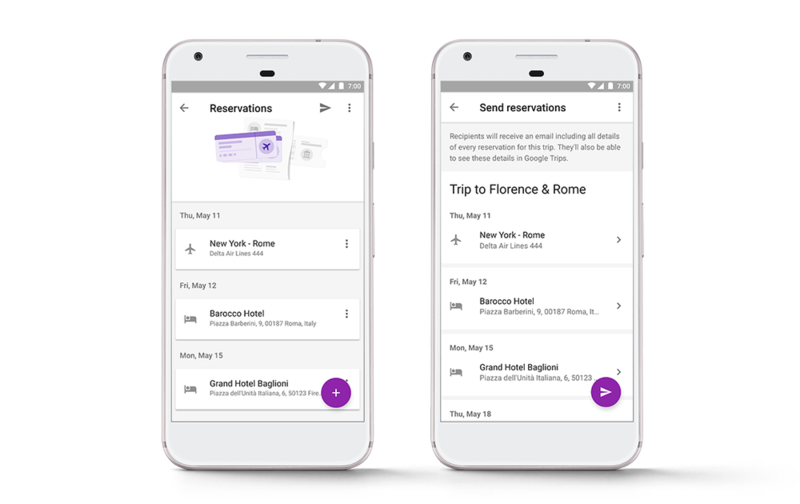 Now, Google is making it easier to find a restaurant near you, which includes a new "filter" option that lets the user define certain criteria, like price, rating, hours, and type of cuisine. 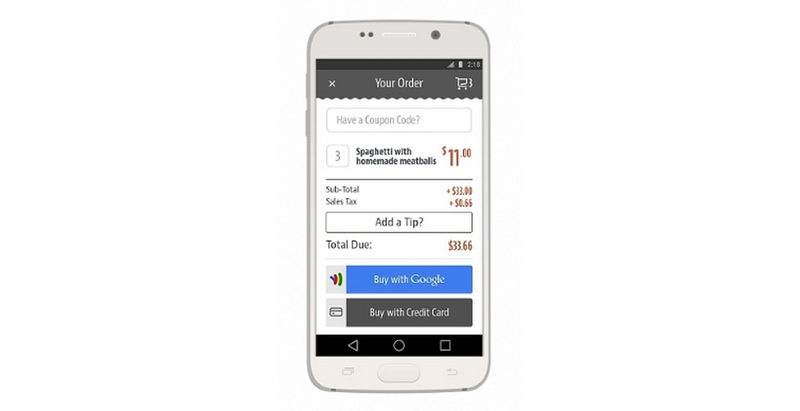 Here's how it works: fire up your phone and say the hotword ("OK Google" on Nexus devices, "OK Google Now" on the Moto X) and tell it to find restaurants in your location. 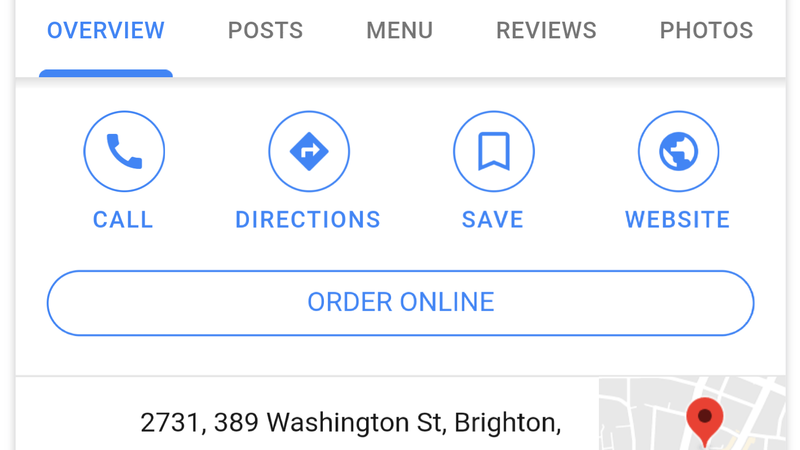 Searching for a restaurant that can satisfy everyone's culinary preferences isn't particularly easy on a smartphone's data connection. The process typically involves searching for a specific website, hoping there's a mobile version (nope), and searching around for a menu. Now Google's rolling out a feature in the US that should streamline things a bit. Just search Google for the menu and watch it appear as the top result.